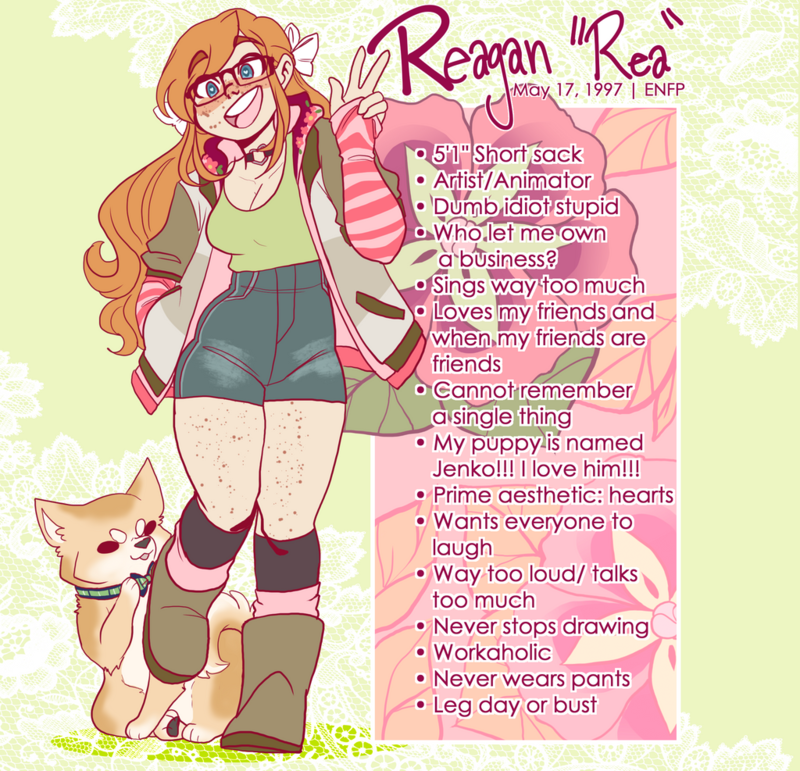 Hello I'm Reagan! (Typically known as Rea! That's pronounced like ray!) 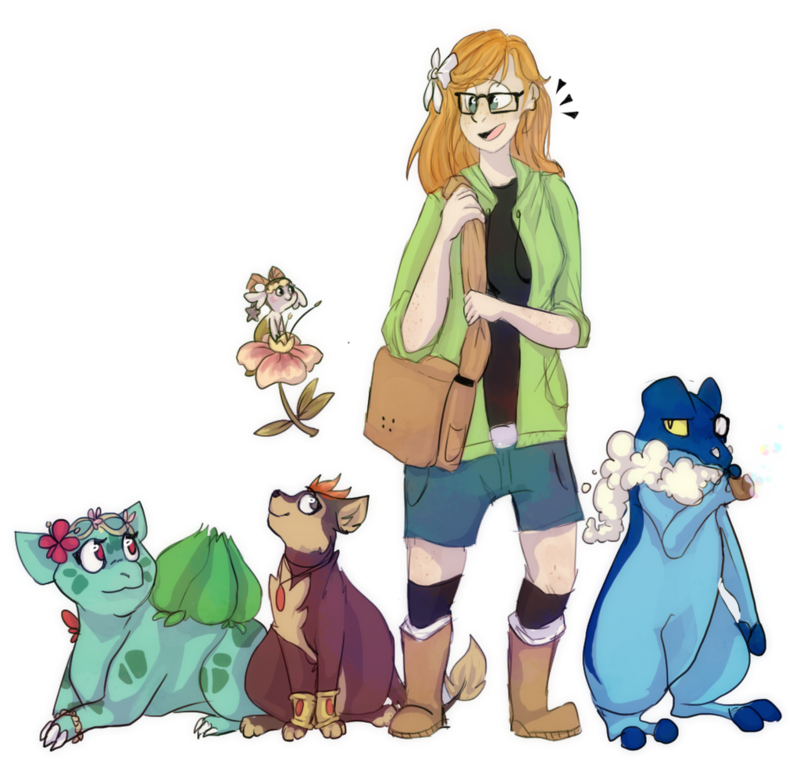 I'm a freelance artist/animator as well as the owner of my very own animation studio with out debut project and series coming out soon!!! 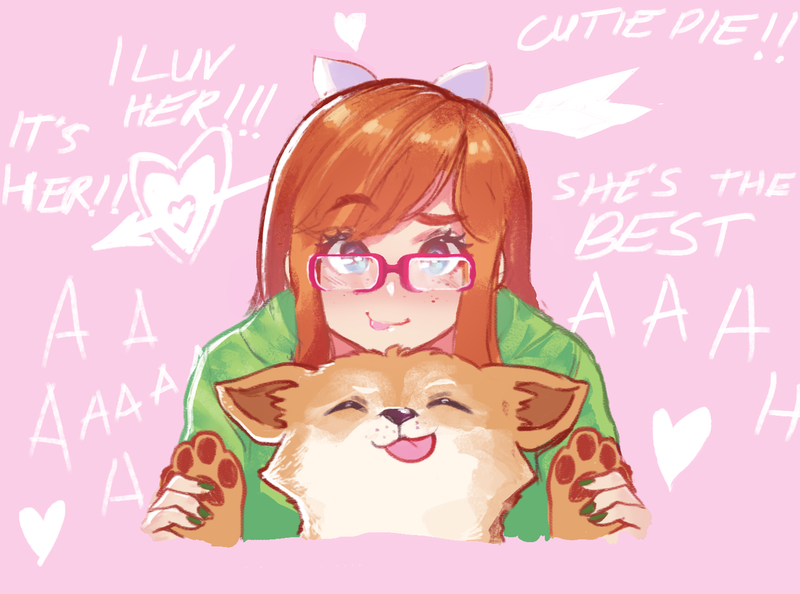 My birthday is May 17th, I have a sweet Jenko puppy dog and I love my friends so much I gotta make them star in self insert comics with me. Please forgive how slow I am at responding to comment or fan art! I will respond to fan art if it's sent to me or shows up in my mentions, it just might take me a bit. Sorry! I'm just a small ginger I'm overwhelmed easily TTuTT I love you all thought I hope you have a good day!!! Me mega babies. Thrice adopted. Me mega vega babies. Four times adopted. Baby boss. The dominants. Five times adopted. Ultra Master baby. Seven times adopted! That's a lot of paperwork. Hello Rea! I was wondering if I might borrow a moment of your time when you are not so busy. This is really important to me, so if it&apos;s not too much trouble for you, would you mind helping me with something small?